Light up the city streets with the CEP Nighttech Reflective compression calf sleeves - an essential accessory for staying visible in all conditions. 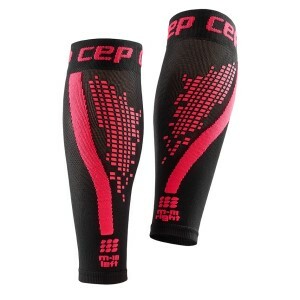 These bright calf sleeves will ensure you never have to put a stop to your fitness when the sun goes down. 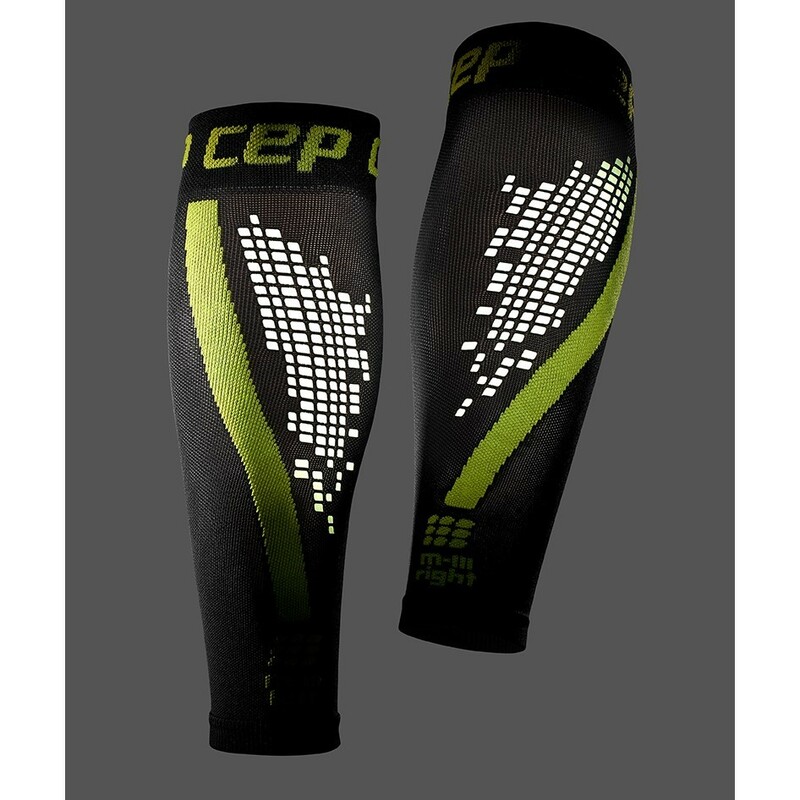 They're loaded with the compression technologies of the CEP Calf Sleeve 2.0 with the addition of reflective dots so you can illuminate your workout and keep safe, day and night. Perfect for your next run and enjoying the outdoors, these compression calf sleeves maximise your performance, recovery and keep your tissues free of soreness and injury. They increase the transport of oxygen and nutrients to your exercising muscles by boosting circulation. The result is more power and minimised risk of overuse injuries. 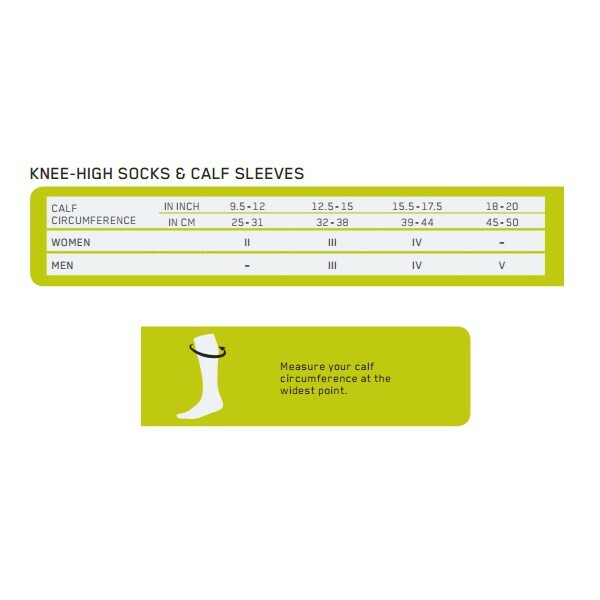 Compression fibres fit around your calf muscles like a second skin, providing stability and support by wrapping the leg more than 300 times. Your connective tissues are protected against damage from micro tears that may cause shin splints – a common pain experienced by runners. Heat and moisture ventilation is strategically placed in zones where you need it most, on the front of the shin. This provides superior air flow and draws sweat away from your skin for effective cooling. 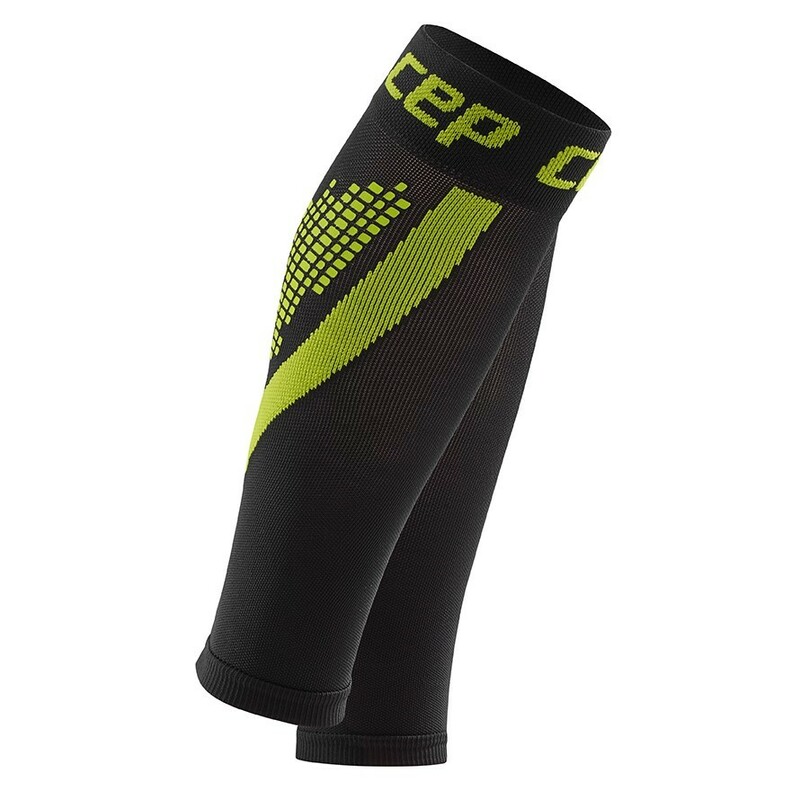 According to Compressport, these high tech calf sleeves can significantly decrease your skin temperature, keeping your run cool. Please note: CEP calf sleeves are designed specifically for active use. Avoid wearing when sitting for long periods of time or on an aeroplane. As your feet remain exposed, they may swell during inactivity.